The amazing ‘Coastal Macha’ – Part 1 – squids, meats and more! April 22, 2017 January 27, 2018 Categories food tasting, Restaurant reviewasia, blog, blogger, Bloggers Meet, coastal, coastal cuisine kolkatata, coastal macha, fish, food blogger, food tasting, foodiedada, Goa, Goan curry, kerala, kolkata, menu, restaurant, review, sea food, squid, Squid xecxecLeave a Comment on The amazing ‘Coastal Macha’ – Part 1 – squids, meats and more! Ever since I returned to Kolkata from the mesmerizing Kerala trip, I have been searching for places who can somehow manage to dish out something remotely close to what I have tasted back there while floating on the backwaters!! Those typical flavors were still haunting me and I was going on with my search for such similar dishes in my city. On one fine morning I discovered this place called ‘Coastal Macha’ on internet which claimed to serve lip smacking Konkan, Kerala, Goan and Maharashtrian cuisine sitting right here in Kolkata! I was actually elated and I never knew I will be visiting this place just within a couple of days from that virtual discovery! I should be carrying a photograph of Vasco Da Gama maybe in my purse from now on! My gastronomical discoveries are no less significant than this man’s voyage to India! 🙂 Anyway, let’s cut short the poor jokes. My first visit to Coastal Macha happened because of an invitation extended by First Idea PR and the Coastal Macha management (Sabrina and Piyush), for which I am truly grateful. The food had loads of character and the intensity of the flavors was incredible and kept lingering on my taste buds even after several days. The Coastal Macha has got a postal address of 55 Southern Avenue and it is right there on the main road quite close to the CMC swimming pool. I anyway love these Southern Avenue quaint shady alleys and now the food here at this place has given me another reason to come back to this area again and again. Its bright name board is really hard to miss and when you open the door and start climbing up the flight of stairs you are bound to notice the picturesque ceiling and wall décor along the stairs. The ceiling décor flows inside the dining area as well and it is really fabulous and a trademark of this place. It is made up of wicker baskets with light bulbs fitted in them; this décor itself gives the place a typical coastal feel which gets elevated when you check out the tables where you are seated. The glass tables house a bed of sand with sea shells, small stones, marbles, etc and all those natural elements which you find scattered on a sea shore. The seating is pretty comfortable and the tables have the correct elevation as well. Only thing which I was discussing with the owner, Sabrina is the dining area seating capacity which is bit on the lower side presently, considering the great food they are serving which will definitely pull a huge number of people to this place in the coming days. Now let’s go straight to the food and beverages which I tried at this place. Kokum Cooler – This was an amazingly refreshing and fizzy masala based red colored drink prepared with kokum. It is a fruit that really helps improving digestion and has other health benefits as well. Never tasted such an awesome drink which is also healthy at the same time. Must try!! Sol Kadhi – This is a popular kokum concentrate and coconut drink having a quirky flavor of guava after consolidation of all the flavors and spices, which I personally felt. This isn’t like a mocktail, it is a cold dense soup kinda drink and definitely if you haven’t tasted this you can never guess how it might taste. If you are expecting just another regular mocktail then do not order this, else you’ll be disappointed. Tandoori devilled crab – This is one of the trademark items of this place and again a ‘Must try’ item. It’ll surely be a crime if you don’t try this out. This is smoked crab meat cooked in tandoori spices and served on a crab shell. Looks great and tastes brilliant, the soft smoky crab meat just melts in your mouth and takes you to a gastronomical heaven in seconds. Squid Koliwada – This was a nice starter which was served right after the coolers came in. This was a special batter fry prepared with besan and koli masala having a nice tangy flavor, the outer skin was crisp while the squid piece inside was amazingly fresh, bouncy and soul pleasing. Squid Xecxec – Maybe this was the best side I tried with my plate of steamed rice! It was bit dry, doesn’t have running gravy, aptly spicy and very flavorful. This is actually traditional Goan curry with a blend of rich spices and coconut having generous amount of fresh and bouncy pieces of squid. Must try! Mutton Koli Masala – This was a subtle flavored traditional masala curry from the Aagri Koli samaj in Maharashtra, it was amazing to taste and savor with rice, the mutton pieces were soft and very well marinated. Bhetki Goan Curry – The bhetki Goan curry was a joy to savor. The dense curry had extremely fresh pieces of Bhetki in there which was almost melting in my mouth. The gravy was aromatic, flavorful with a perfect blend of spices. It was not too spicy and the texture was extremely smooth and rich. Surely you can try this out. Appam – I really love to have appam for breakfast and dinner. The appams which I had tried in Kerala were bit thicker while the appam here was quite thin and actually I liked these better 🙂 Fermented rice batter and coconut milk is generally used to prepare this. It’s a bowl shaped hopper crispy on sides and fluffy at the bottom and I really liked it with the Goan curries. We were also served required portions of Steamed Rice along with this which was perfectly prepared as well. The service was very prompt and would be interesting to visit them when there is huge rush just to check out how the large crowd and orders are handled. I am mighty pleased with the food at this place, though I know I am yet to try many other items from their menu but surely I got a hang of the character of the food being served here, which is amazing. You won’t get any better joint in Kolkata serving such brilliant coastal cuisine along with so many dishes from Kerala and Maharashtra. So, the next time you crave for some authentic coastal cuisine or maybe some good food in general, do drop in at Coastal Macha, it’s worth every penny! Previous Post Bubbling under! – Mumbai’s first ever restaurant on the sea! 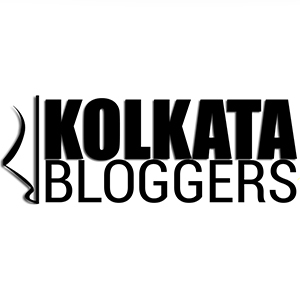 Next Post ‘Genuine Broaster Chicken’ now in the techie alleys of Kolkata!